We are established professionals and leaders in advisory, regulatory and dispute resolution disciplines of legal practice. There is no substitute for experience. At the coal-face we have appeared as leading advocates at all levels of the Courts and Tribunals in the Cayman Islands, including the Judicial Committee of Her Majesty’s Privy Council. Our expertise in public and academic advocacy is also widely recognised and our thought leadership has been appreciated and published locally and internationally. Our experience in leading offshore law firms, Government and public administration and regulation imbues us with an innovative, independent and commercially astute approach, which differentiates us from our competitors. We bring this perspective to bear for the benefit of our clients and our resulting solutions are as valued by our clients as they are admired by our adversaries. We also pride ourselves in our commitment to public service in the Cayman Islands, which is reflected our appointment by successive Governments to serve on various public bodies. These appointments illustrate both our independence and our experience in a range of disciplines relevant to our clients, including the legislative basis for and the regulatory oversight of all major areas of commerce in the Cayman Islands. We are not hide-bound by tradition. 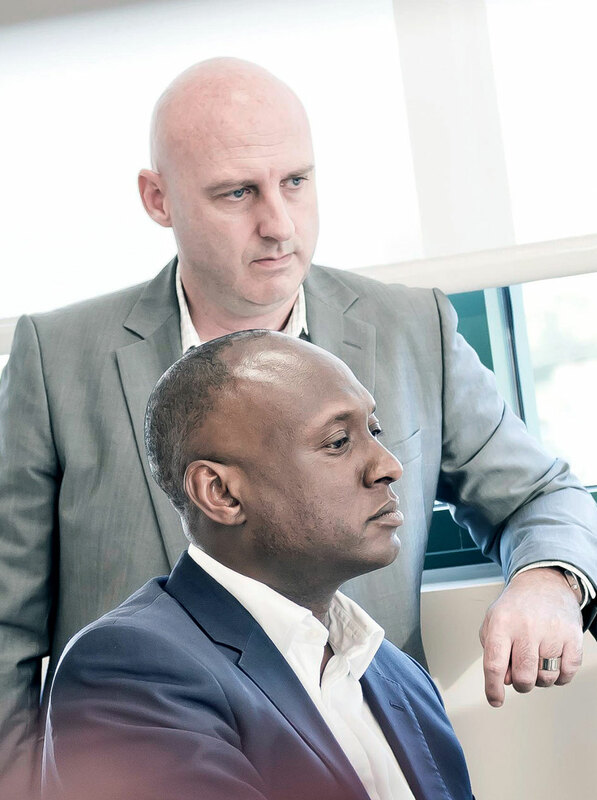 The Etienne Blake approach embraces collaborative problem solving, encourages innovative solutions and empowers our team of experts. Putting our clients’ objectives first is our utmost priority, a dynamic that eliminates internal competition and inefficient processes to the benefit of our clients. Our Clients require budgetary and financial predictability of the costs of our services. At Etienne Blake we recognise that when it comes to billing, our flexible approach to fees, be it fixed, hourly or other alternative/hybrid fee structures, distinguishes us from our competitors. Our preference is for an evaluative approach, establishing at the outset a fair price for our services. We believe that by tailoring a fee protocol to the particular requirements of an engagement we can provide our clients with better value, greater transparency and, ultimately, a more equitable lawyer-client relationship. At Etienne Blake, we value our independence and are not impeded by the internal conflicts of interests that constrain many other law firms in the Cayman Islands. We are first and foremost an independent law firm. Unlike other legal services providers, we do not provide complimentary fiduciary services. Our independence and singular focus allows us an unfettered ability pursue matters where others might be reluctant given potential conflicts of interest engendered by competing fiduciary services commitments. We are therefore able to provide the independent advice directors, trustees, liquidators and creditors’ committees require when disputes, governance issues, or a need for regulatory advice arises. Our independence also enables us to be instructed, on a referral basis, by other local law firms who respect our advisory expertise and advocacy skills. Sole practitioners and larger corporate law firms alike have already recognised the added value that our independent services can bring to their practice. Etienne Blake is a new and progressive law firm designed to serve our clients with a no-nonsense, modern and efficient law practice built on a proven track record of many years of international and local experience, and expertise in public administration and Government legal service in the Cayman Islands. We are leaders and innovators serving on a number of public bodies by successive governments over the past decade. These appointments reflect our understanding and aptitude in a range of subjects relevant to our clients, including regulatory oversight, our underlying constitutional arrangements and all major areas of commerce in the Cayman Islands. We are a conflict-free firm, building on our quality reputation and solid law practices to serve your business, investment interests, or family, for as long as you need us. Unquestionably one of Cayman’s top litigation attorneys, Anthony has a breadth of experience rarely found amongst practicing advocates in the Cayman Islands. Vaughan’s unique combination of practical skills, academic expertise, local administrative experience and distinguished service sets him apart from other practitioners in the Cayman Islands. Ian has a unique range of experience and a diversity of knowledge, gained both locally and internationally, which makes him ideally placed to provide commercial regulatory, governance and AML advice and assistance. Engaged primarily in civil advisory work with a particular focus on regulatory compliance and enforcement.